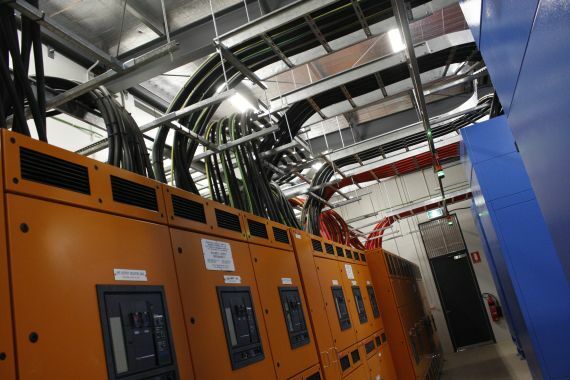 Thanks to three brand-new ‘uninterruptable power supply’ (UPS) systems, the AS storage ring can continue operating for up to 15 seconds without any power, enabling synchrotron operators and users to continue working through any short-term power supply disruption. 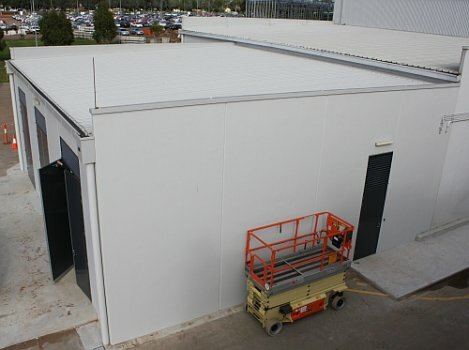 The three Piller UPS (uninterruptable power supply) systems were installed in the new switchroom extension late in 2011. 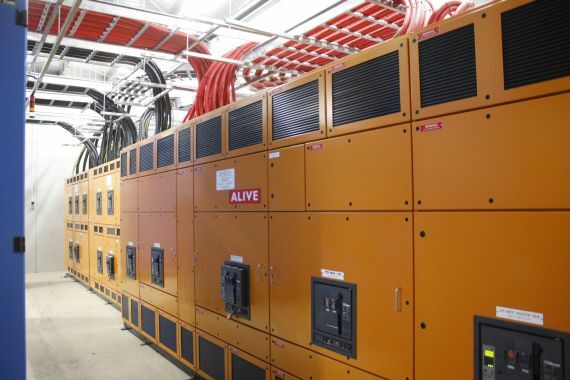 With a total power of over 4 megawatts (MW), they combine a rotary UPS design with an integrated flywheel that stores and releases kinetic energy to bridge any power outages. 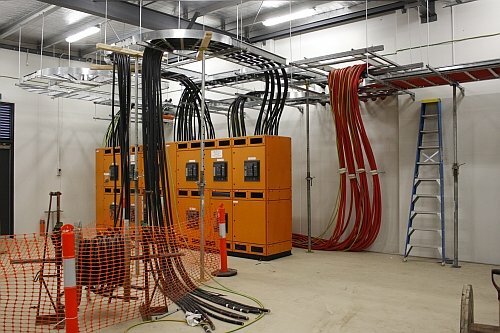 The three units are connected directly after the three main HV/LV (high voltage/low voltage) transformers that supply power to the storage ring including RF (radiofrequency) systems, magnet power supplies, cooling water, vacuum and controls. 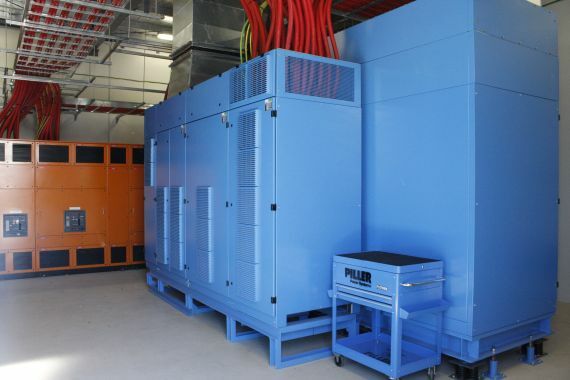 Although most power supply disturbances are only a reduction in one or more phases for a few cycles, the user beam can now be sustained for up to 15 seconds without any supply. 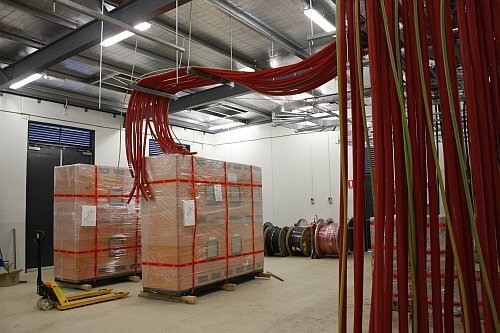 Above three photos (6 February 2012): the new UPS systems. 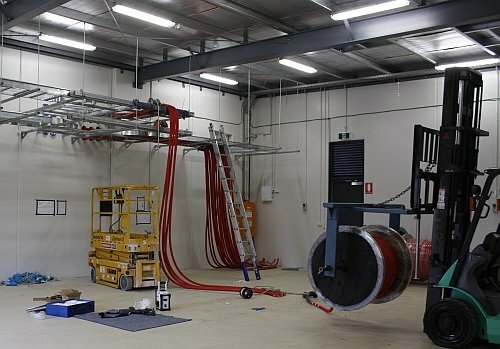 Above (18 May 2011): inside the switchroom extension building. 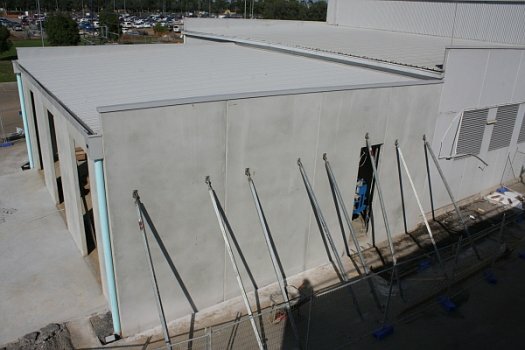 Above (29 March 2011): the switchroom extension building is almost complete. 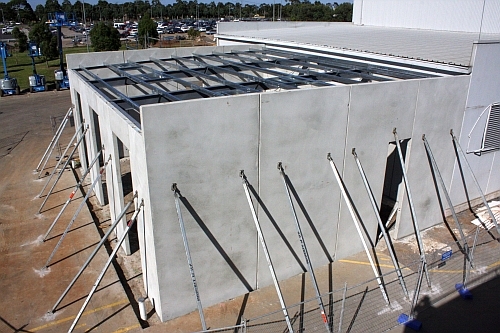 Above (7 March 2011): the switchroom extension takes shape. 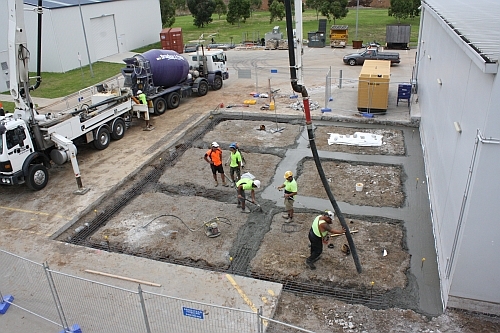 Above (10 February 2011): pouring concrete foundations for the switchroom extension. 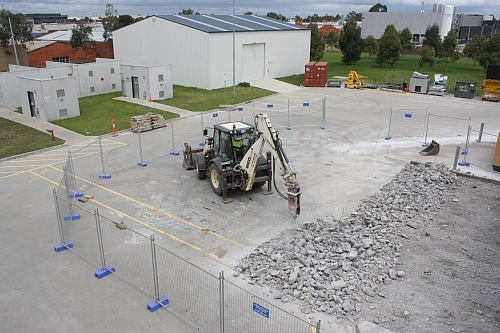 Above (18 January 2011): work commences on the switchroom extension.